Visit Harris breathtaking beaches. If you’re a beach lover, you’ll be stunned by the spectacular Harris beaches. Turquoise blue water colour, the purest sand you have ever seen and lovely wildflowers blossoming in the grassy plains behind the beaches will leave you speechless. Some of the visitors’ favourite beaches include the Huisinis Beach, Seilebost Beach, Luskentyre Beach, Borve Beach and Horgabost Beach, to mention only a few. There are of course also many hidden gems, while some can be accessed only from the sea (another reason why you simply must take a boat trip while on the Isle of Harris). Church of St. Clement at Rodel. On the very southernmost tip of the island is the picturesque 16th century church that was built by Alexander MacLeod of Harris and Dunvegan. It is open to visitors all year round, while the entry is free of charge. Besides visiting the interior, it is also worth to climb the tower because the views are spectacular. However, keep in mind that the stairway is very narrow and steep. Scalpay Lighthouse. One of Scotland’s oldest lighthouses is one of visitors’ favourites on the Isle of Harris due to the breathtaking views from atop. 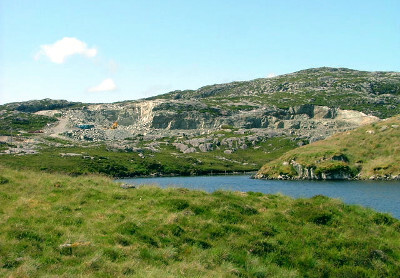 Like its name suggests, it is situated on the Isle of Scalpay which can be reached via a bridge from Tarbet. Go fishing. Did you know that the Isle of Harris offers some of the best fishing grounds for salmon and trout in Scotland? Well, it’s true. So don’t forget your fishing pole. The summer months are the best time for fishing in Harris. Go golfing. The Isle of Harris is home to a fine 9-hole American golf course with a great golf gift shop, which is widely considered as one of the most scenic golf courses in the world. If you’re a golfer, you mustn’t leave Harris without playing a round at its spectacular golf course. Go hiking. There are many walking trails for both beginners and experienced hill walkers. Be sure, however, to pay attention to walk grading and don’t overestimate your skills as the most challenging trails can be dangerous if you are not that experienced hill walker. Visit Seallam! Visitor Centre at Northton. Here you can get more information about the things to see and experience on the Isle of Harris as well as learn more about the island’s history, life and culture.